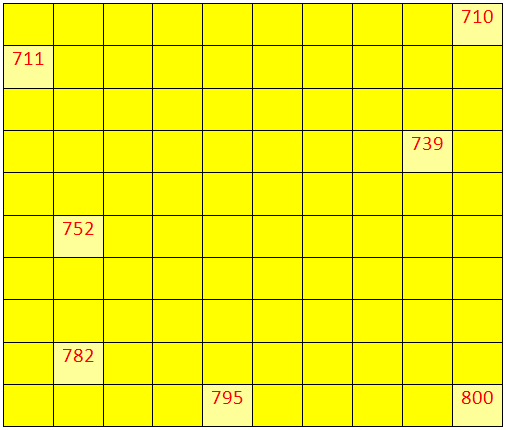 Worksheet on numbers from 700 to 799 will help us to practice the numbers from 600 to 699 in orders. (iii) Is 763 an odd number or an even number? (iv) How much is 70 times 10 less than 77 times 10? (v) What are the odd numbers between 759 and 772? (vi) Ring the smallest number: 753, 794, 715. (i) 730 comes between ____ and ____. (ii) The numeral for the number ‘seven hundred twelve’ is ____. 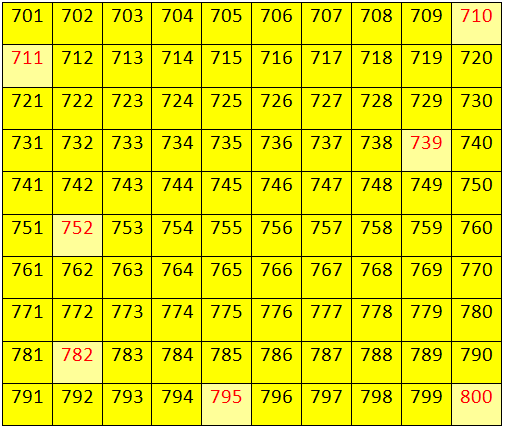 Answers for the worksheet on numbers from 700 to 799 are given below to check the exact answers.